Posted by Waking Up With A Broken Heart in Love & Pain. It is a feeling of euphoria, yet, can be a feeling of sheer anxiety & torture at the same time. The thought of tomorrow without you makes the pain somehow worse……how is that even possible?…….to be worse I mean…….how can it possibly be any worse. Do you understand? Do you know how I feel? I hope you don’t………………. DO YOU KNOW WHAT TRUE LOVE FEELS LIKE? THIS IS TRUE LOVE THAT CAN NEVER BE……..
Posted by Waking Up With A Broken Heart in Wishes. Sal taught me how important it is to live life and be happy every moment possible. To never take a day for granted, to never dwell on the unhappy parts of life. He taught me how important it is to celebrate each and every day on this earth. His love of life, his love of parties, of food, of music and of dancing inspire me to do all the things for others that he loved to do himself. 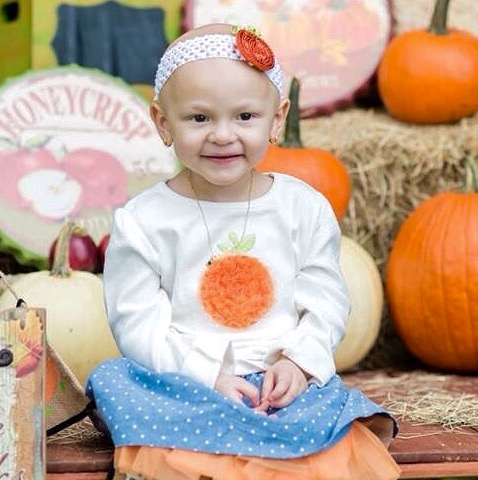 Daniella is a precious 2-year-old girl battling High Risk Stage III Neuroblastoma cancer. When Daniella was going thru her stem cell transplant, as she lay in her hospital bed for weeks, unable to eat or drink due to the ulcers in her mouth and going down her esophagus (and more); side effects from the harsh chemo, her mom, trying desperately to think of the better days to come, told me she wanted to fix up the yard & get a swing set so Daniella could go outside when her counts permitted. (At that moment I saw myself in her eyes, wanting to take away my baby’s pain and wanting to make my baby happy, any way I could. It was all that mattered to me) As Dania and I were discussing this “playground”, Dania was thinking a backyard swing set with a Barbeque grill. I, on the other hand, was thinking a wood deck with a wooden swing set over soft pliable turf so that if she falls she doesn’t get hurt. (Very important when your platelets are always low due to cancer treatments.) I pictured a play area free of dirt and grass that harbor germs, (very important when you are continuously immunocompromised) a place that no matter what she was going through she can walk outside and have what every child should have……..a place to play and be a child. A place to get away from the every day torment of the cancer world. 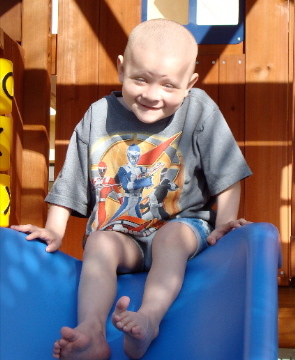 I will never forget the time Sal & I were away for treatment for a few months and when we came home his daddy had put up a wooden swing set with a slide for him, he was overjoyed with happiness. The look on his face is something I will never forget. For the next few years, when we were home from whatever state he was being treated in at the time, he would spend hours outside. When he didn’t feel good we would just swing. When he did feel good you would see him climbing the little rock climbing wall, sliding down his slide or having lunch with his BFF Chase in his little clubhouse, which also served as his hiding place when he was playing Nerf gun wars with his brothers & sister. Sal’s last gunfight 2 months before he died. I knew just buying or getting a swing set donated for Daniella was not enough. So, as usual, I thought big, I thought who could do this for me? For Daniella? I knew whom I wanted to ask. 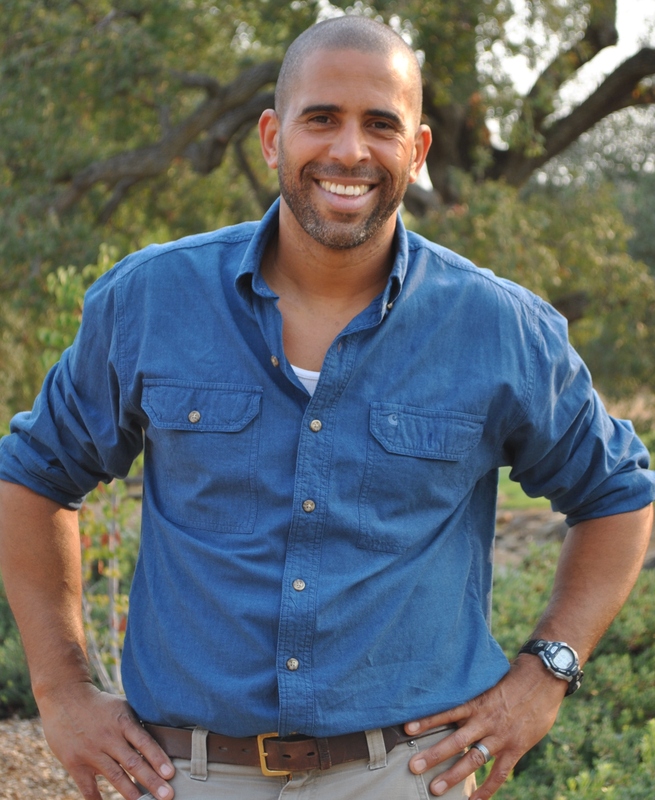 After several emails & Twitter direct messages Ahmed Hassan, Celebrity Landscaper answered me. I’m sure he thought I was crazy, this woman from Florida he did not know, from Mystic Force Foundation, a charity he had never heard of, asking him to fly across the country, build what I described as a germ free backyard playground oasis & do it free of charge, solely thru donations. 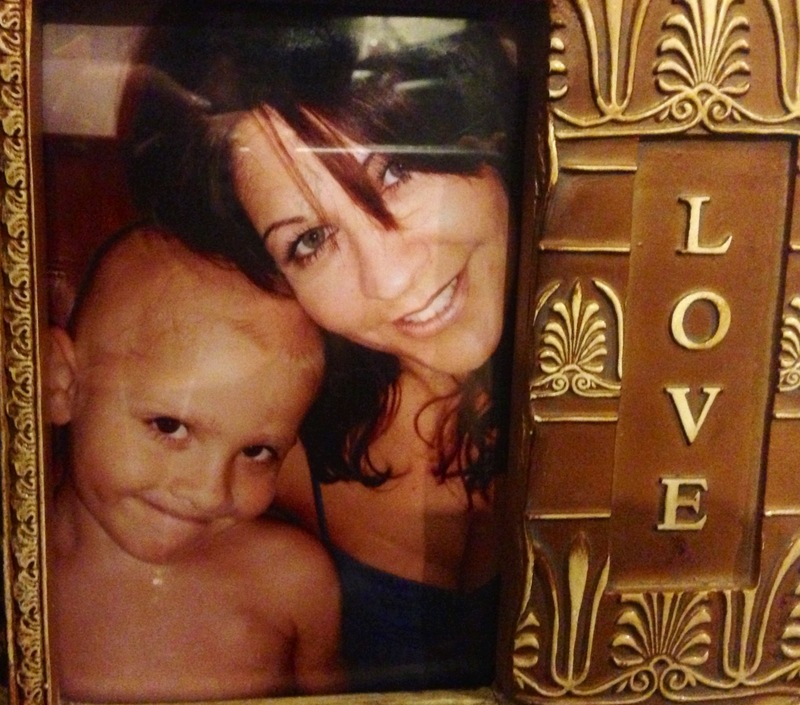 All for this very special little girl that he had never met……. But, I asked & sent pictures and when he replied, I knew. I knew Ahmed Hassan was going to do this. Because I knew, somehow, he would love Daniella & would want this for her as I do, just by looking at her picture and feeling the love & need to do this. We went back & forth several times, trying to figure out how to accomplish this, with urgency. I know from experience that there are a lot of wonderful people in this world, many, who could help us grant this Wish. I know this because it is what I do……EVERY DAY………ask people to help me make others happy. 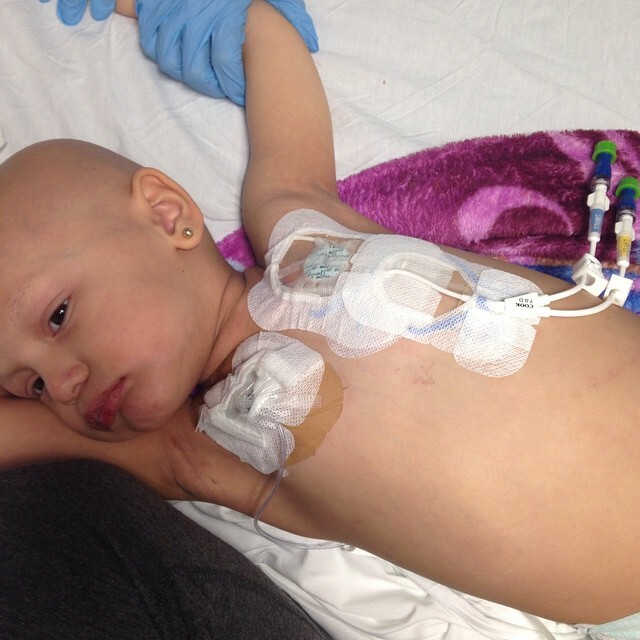 We started a Thoughtful.org page for Daniella and within hours we had thousands of dollars donated from people wanting to help. The amazing Southwest Airlines agreed to help with Daniella’s Wish and are donating the tickets for Ahmed and his designer, Duane Draughon to fly in this coming week to look at and start to design Daniella’s back yard play space. Miami Springs Mayor Zavier Garcia has worked out the hotel stay being donated by the beautiful EB Hotel and car rental has been provided at a discount from Hertz. Dr. Guillermo, DeAngulo, Daniella’s oncologist (& Sal’s!) will be meeting with us so that Ahmed can better understand Daniella’s disease and needs around the space. 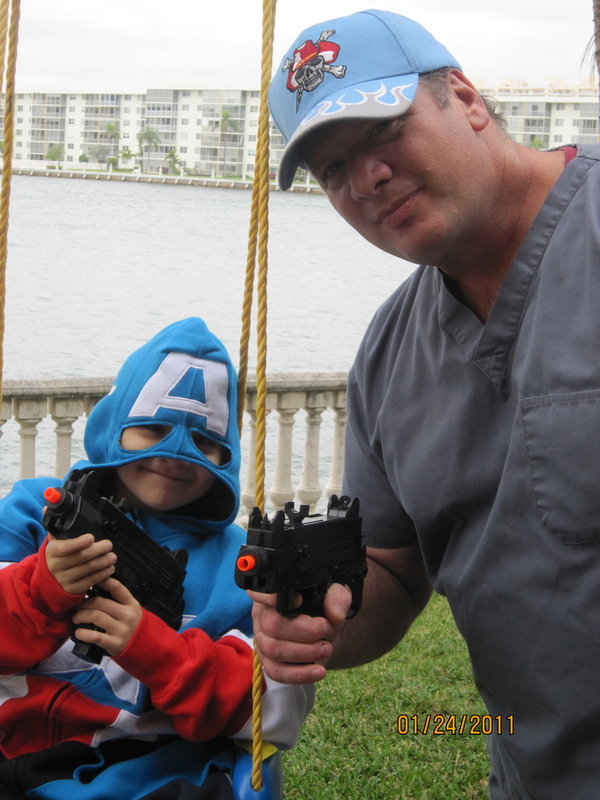 I will also take him up to 3North so he can see where our kids spend so much time……so much time having life saving poisons infused into their little bodies. Where they spend weeks to months at a time recovering from these torturous treatments. THE FLOOR WHERE REAL LIFE HEROES CAN BE FOUND. As I sit here typing this with tears streaming down my face, I know my baby is next to me telling me “don’t be such a baby” (what he always said when I would cry) and telling me to be smile because we are about to make Daniella VERY HAPPY…. So that is what Daniella’s Wish means to me…..HAPPINESS…….because Daniella’s Wish won’t last for a week or two, no, it will bring her continued joy and a lifetime of happy memories. It will bring happiness to Daniella’s mom, Dania, my friend, such joy & happiness to see her baby happy. And, I know how important that is………..
*Monetary Donations on Thoughtful.org for Daniella’s Wish will not be issued a tax receipt as this money is being used for expenses for anything not donated to build the playground. Any monies remaining in the account will be donated to the Mystic Force Foundation for Childhood Cancer Research.